Could the FDA’s re-analysis of Xarelto study affect ongoing litigation? Could FDA’s re-analysis of Xarelto study affect ongoing litigation? 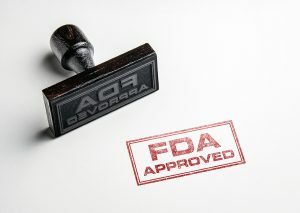 Oct. 14, 2016 – San Diego, CA — This week, the U.S. Food and Drug Administration posted the conclusion of its re-analysis of the ROCKET AF trial, which helped propel the blood thinning drug Xarelto towards approval by the federal agency. The agency’s Oct. 11 notice has raised questions about how it might affect the ongoing Xarelto litigation. Xarelto is currently the subject of over 10,700 lawsuits consolidated in a multidistrict litigation (MDL) in the Eastern District of Louisiana, according to the Judicial Panel on Multidistrict Litigation’s website. More than 1,000 lawsuits are also consolidated in a mass tort program in Philadelphia’s Complex Litigation Center, according to the state court’s docket report. Mass Tort Nexus, which provides information on mass tort cases for attorneys, said on Wednesday the FDA’s re-analysis was unlikely to impact the ongoing litigation. Mass Tort Nexus said it did not believe defendants Janssen and Bayer could succeed on such an argument. The ROCKET AF trial was conducted between 2006 and 2010 and commissioned by Johnson & Johnson and Bayer Healthcare. The results of the trial, which showed the blockbuster anticoagulant Xarelto was noninferior to the traditional blood thinner warfarin, were called into question after evidence surfaced that the makers of the drug concealed key study data. Janssen Pharmaceuticals markets Xarelto alongside Bayer. The Johnson & Johnson division was accused by the prestigious medical journal BMJ of hiding critical trial data from Bayer, the FDA and the New England Journal of Medicine, which published the results of the study ahead of the drug’s approval in 2011. The controversy surrounding the ROCKET AF emerged when a medical device used in the study was recalled in 2014 because it was providing inaccurate results in certain patients. The INRatio Monitor System, manufactured by Alere, measures the amount of time blood takes to clot and was used to determine how much warfarin to give patients in the control arm of the ROCKET AF study. The device was pulled permanently from the market earlier this year. Researchers challenged the outcome of the ROCKET AF study in light of the device’s recall, fearing the results could have been skewed in favor of Xarelto. The FDA conducted a re-analysis of the study using information and data provided by Janssen and determined the results of the study were not substantially affected by the faulty INRatio device. 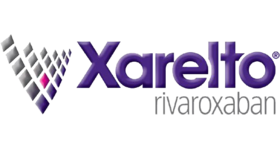 Xarelto’s label has been updated several times since it was approved five years ago to reflect health concerns related to the drug, including a black box warning suggesting the drug could increase the risk of blood clots if stopped prematurely or cause paralysis in patients getting an epidural. Other warnings include the risk of bleeding, including serious and fatal episodes. The thousands of lawsuits filed against the drug’s manufacturers allege Xarelto caused serious and sometimes deadly bleeding episodes in plaintiffs or their family members. There is still no approved antidote for Xarelto should a patient start bleeding uncontrollably.